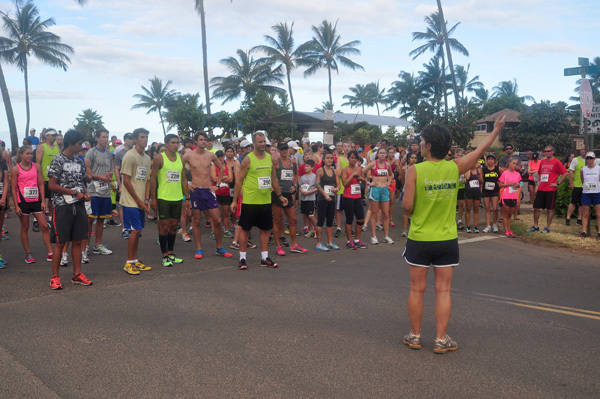 10 mile start. 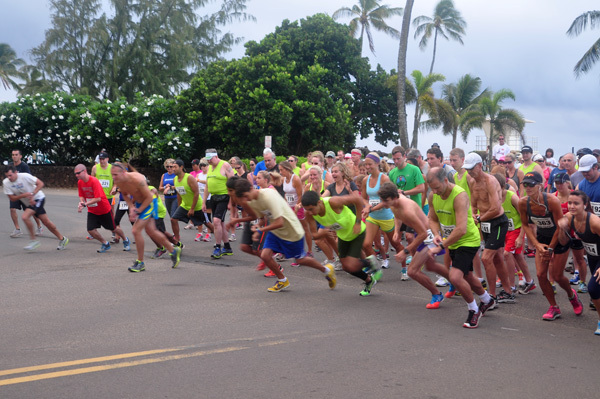 They’re off! 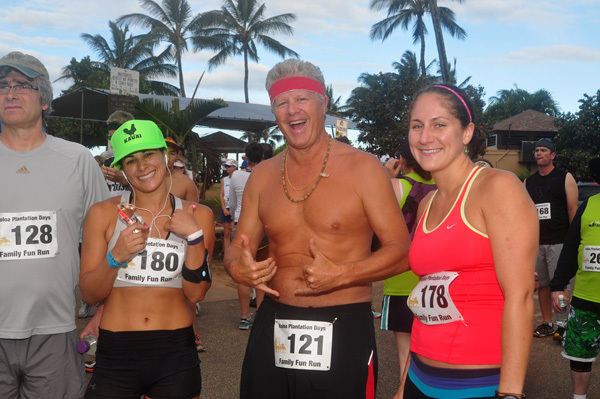 John, Max, Mika and Page. 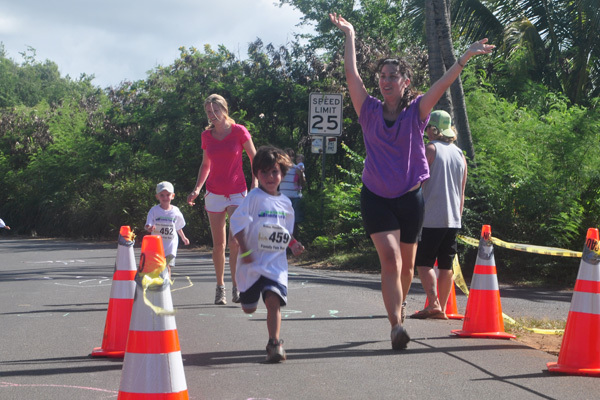 This whole family participated in the run. 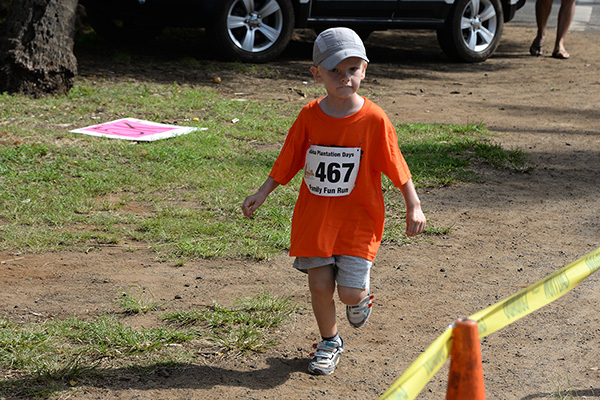 Runner warming up. 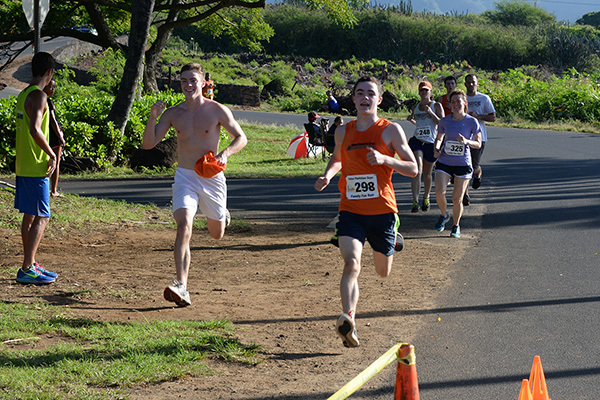 This year’s race shirt is orange. 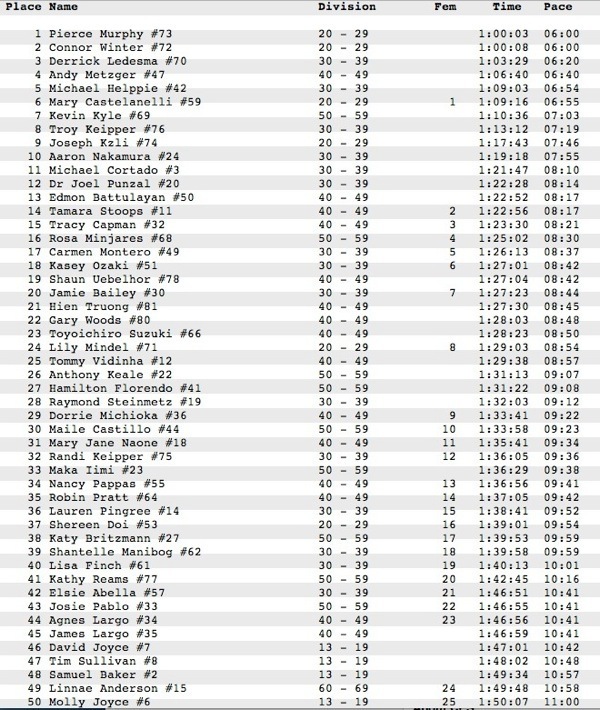 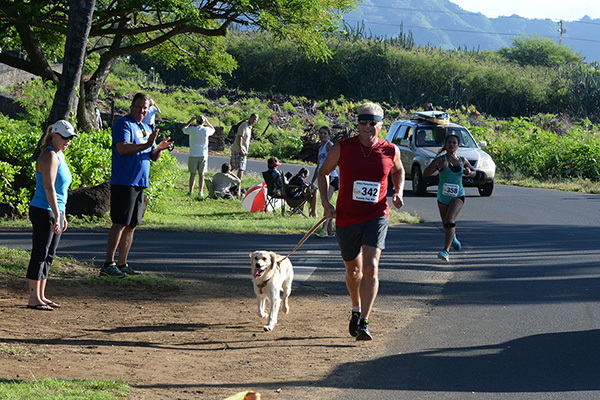 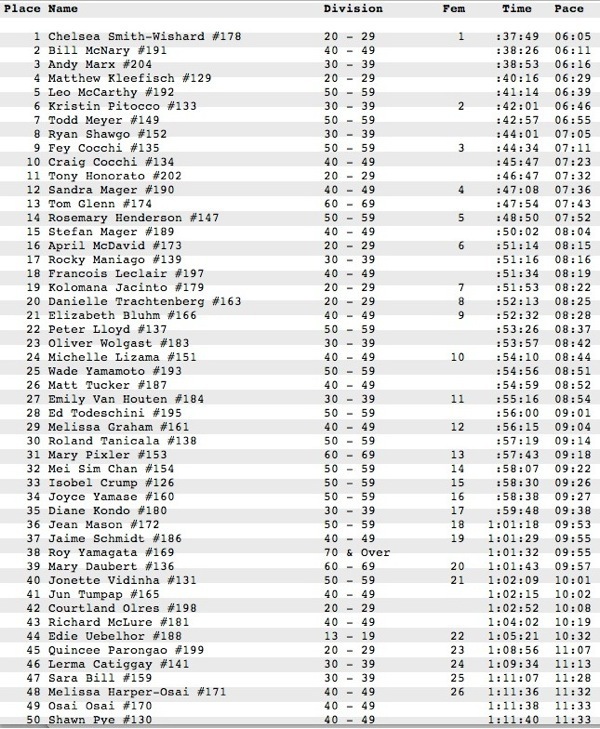 First in his age division for 5K, Tom Biehn reaching the finish line with his dog Koko. 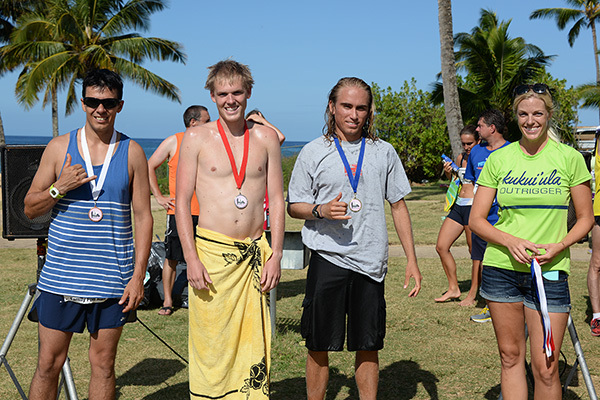 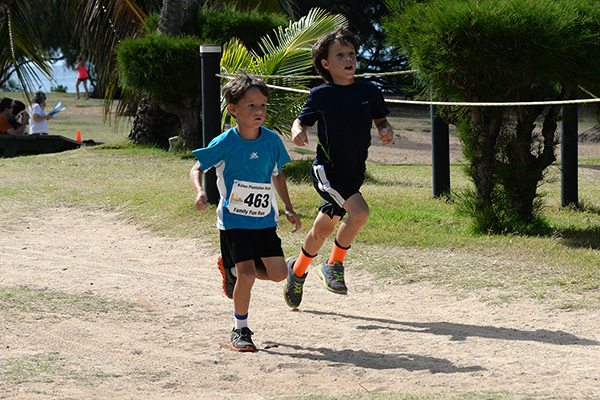 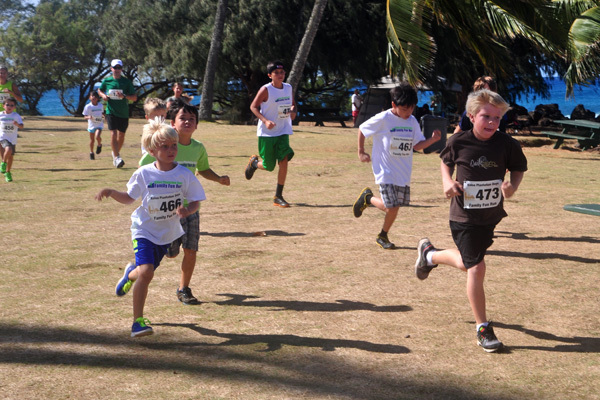 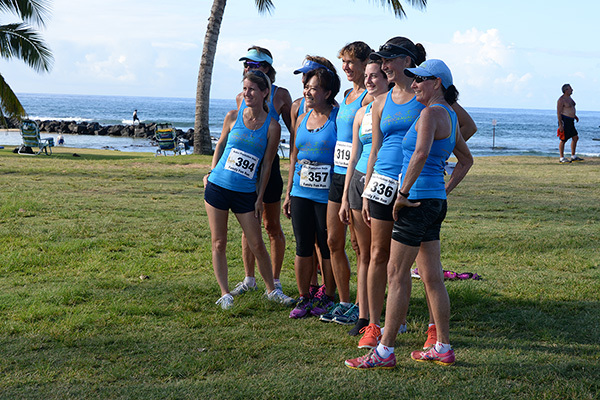 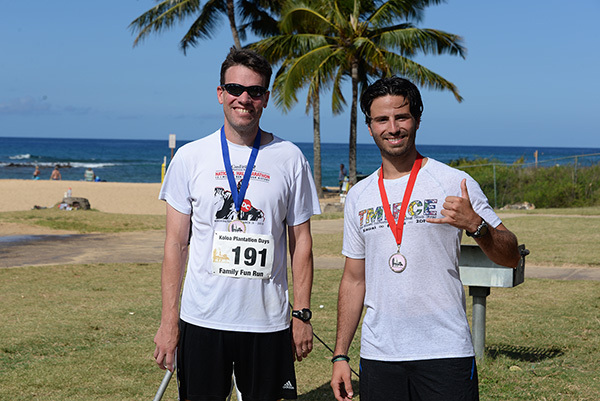 The annual Family Fun Run as part of the Koloa Plantation Days is hosted by the Kukui’ula Outrigger Canoe Club. 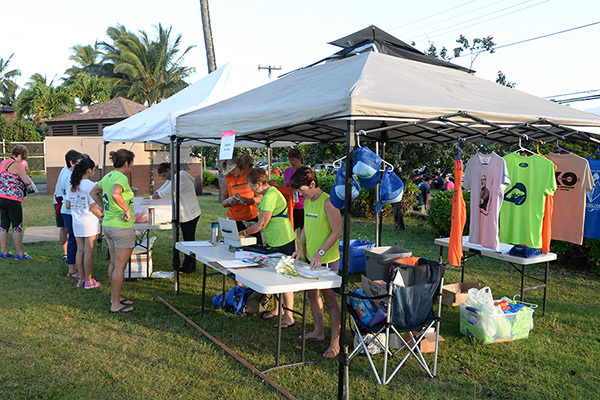 This event is a fund raiser for the club allowing them to continue to support the tradition of Hawaiian paddling on Kauai. 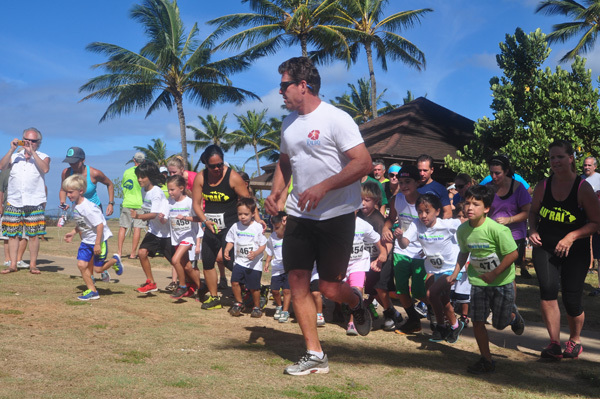 In addition, A portion of the proceeds will also be donated to the Boys & Girls Clubs of Kauai in the name of Get Fit Kauai. 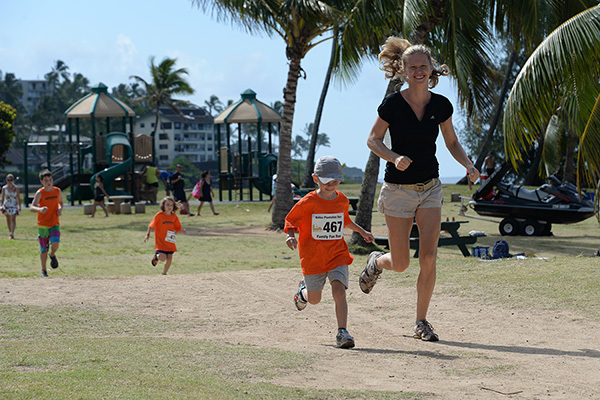 The 2014 Family Fun Run is held this year on Sunday, July 27. 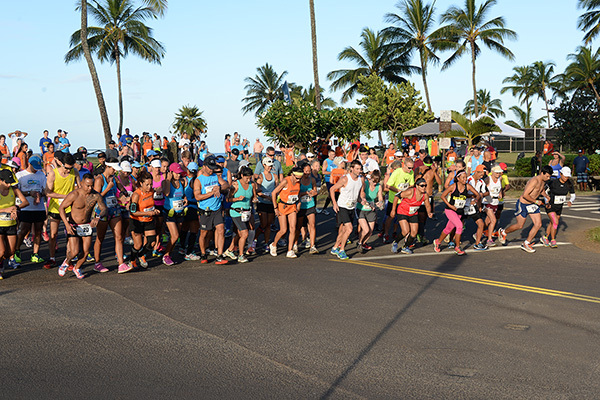 Four different course lengths for you to choose from depending on your ability, endurance and motivation. 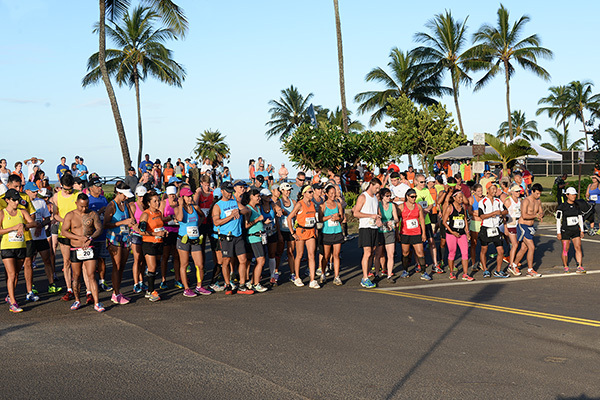 The choice of courses allows you to test your endurance or just stroll along while enjoying some of the most beautiful ocean views on Kauai’s South Shore. 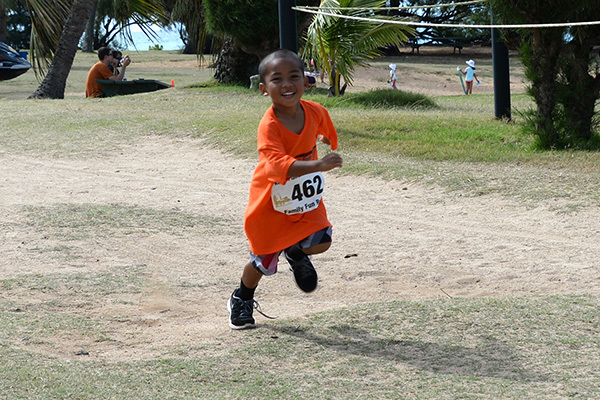 Representatives from UH’s Children’s Healthy Living Program will be on hand to participate. 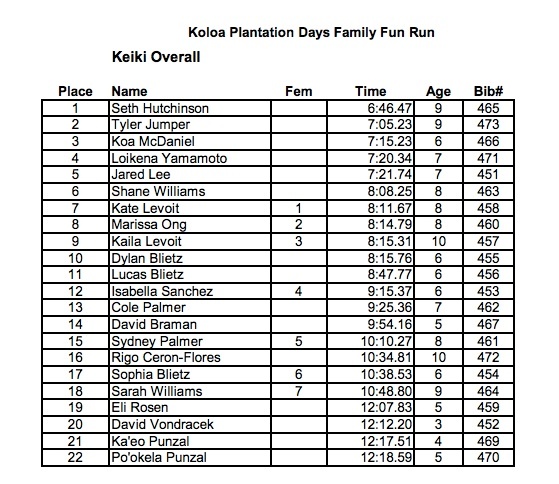 If you would like to share this event with your friends with a flyer, Koloa Plantation Days Family Fun Run Flyer. 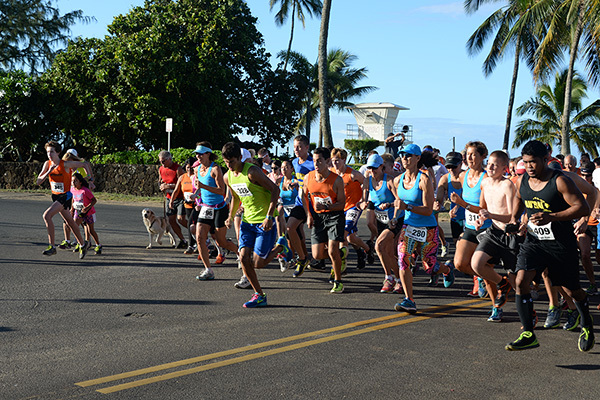 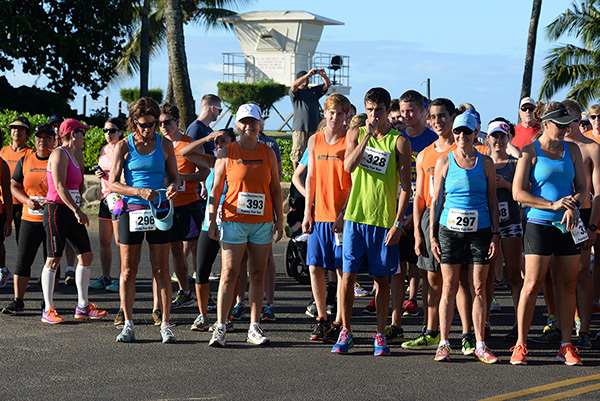 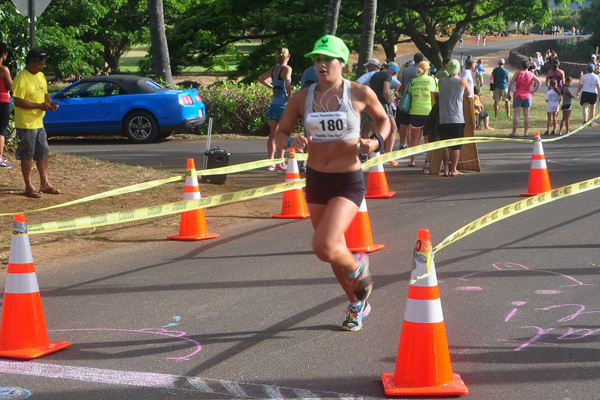 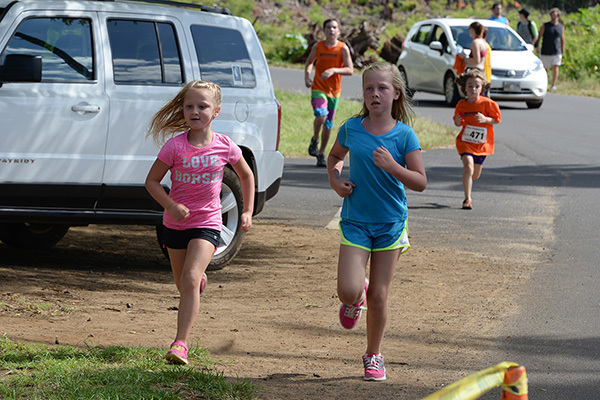 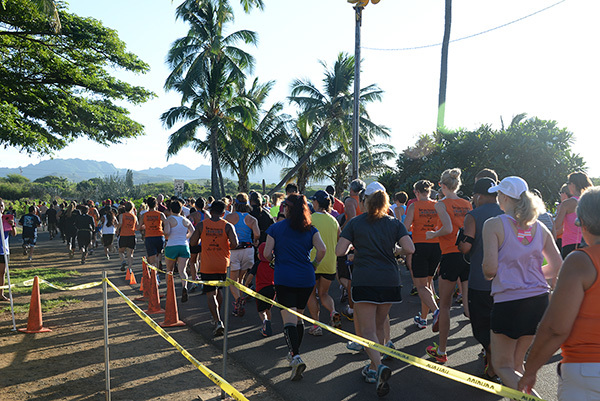 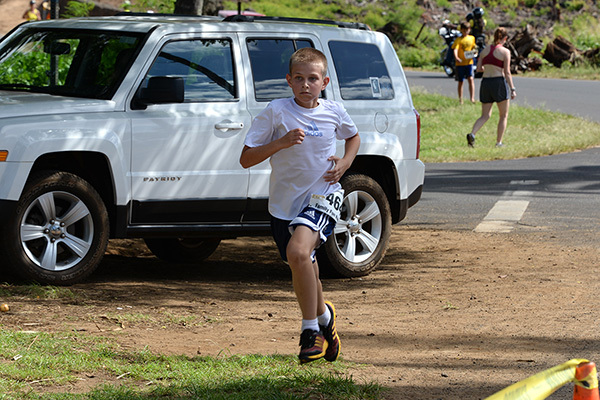 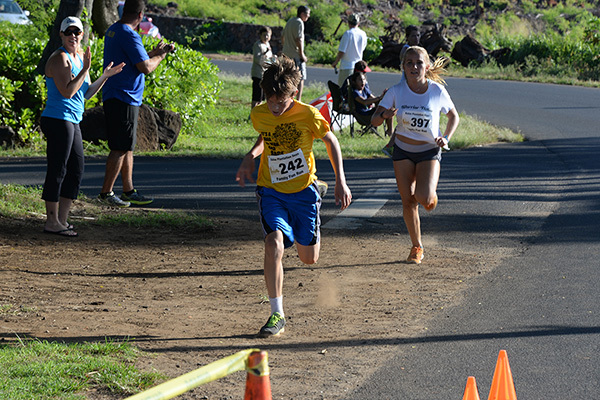 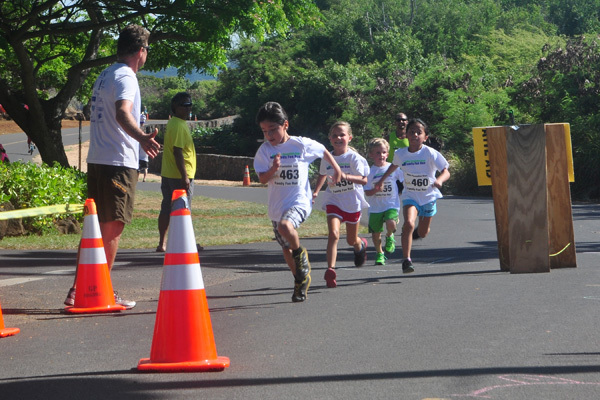 The Family Fun Run is part of the annual Koloa Plantation Days week long celebration. 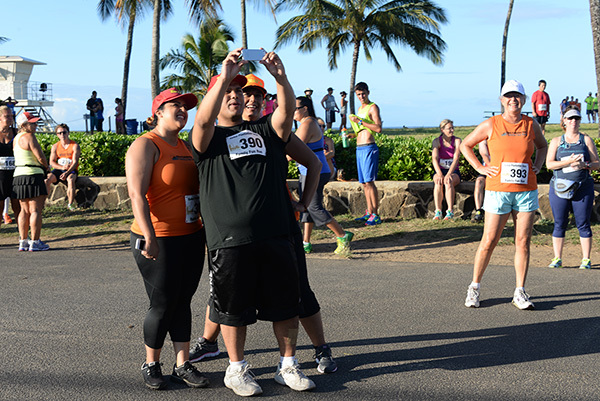 In 2014, this runs from July 18 to July 27. 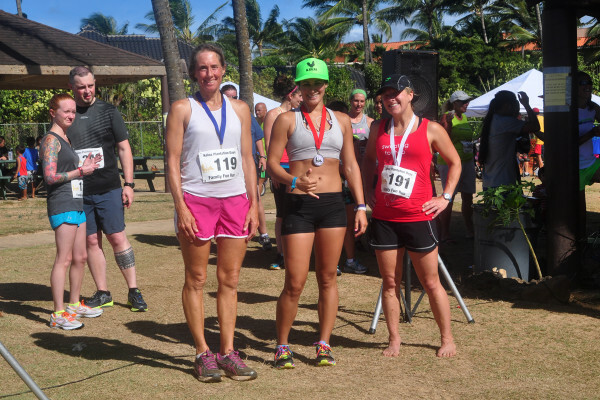 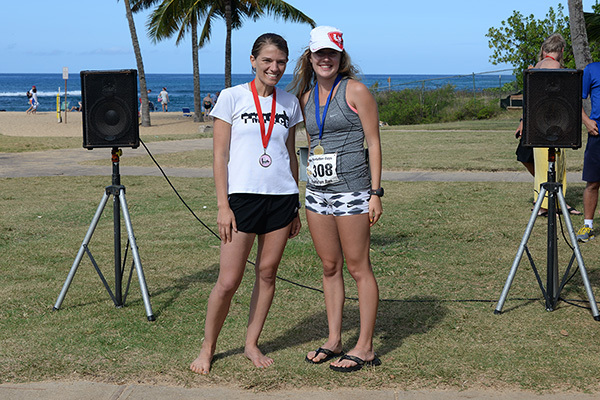 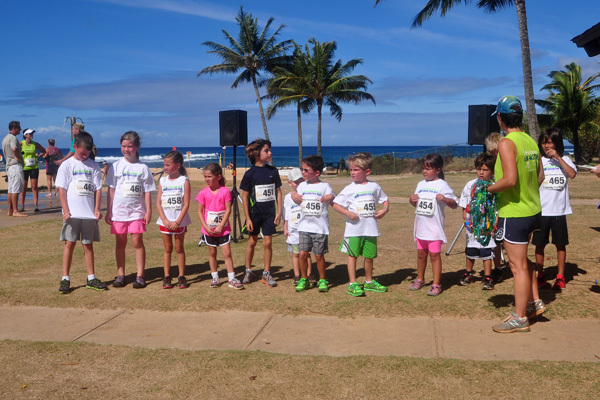 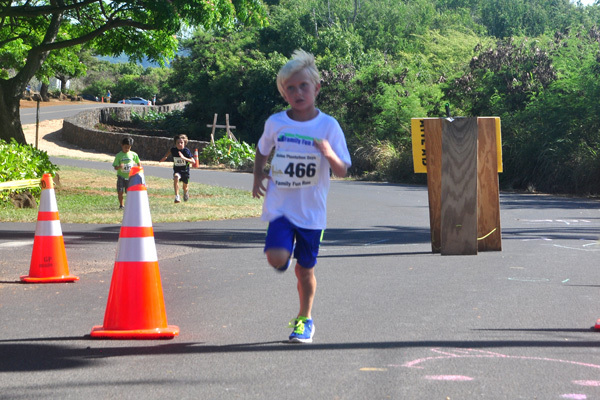 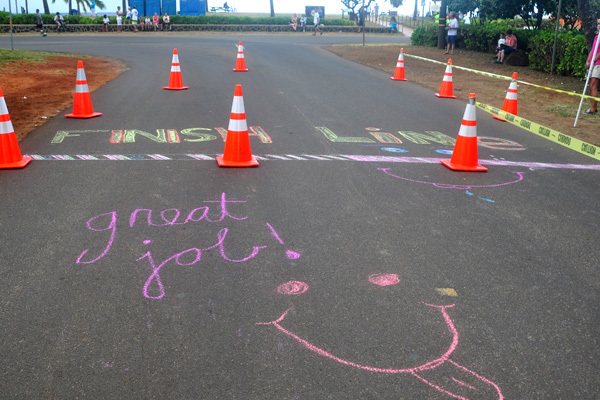 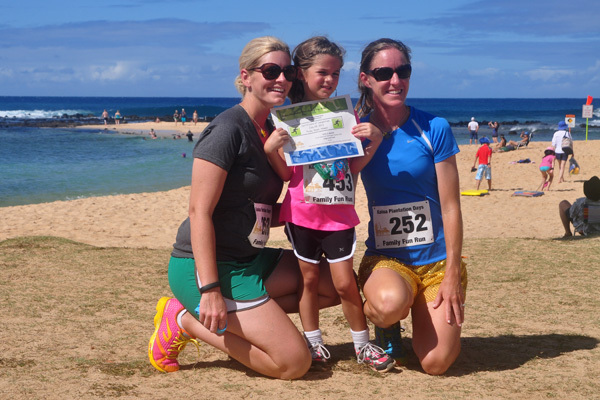 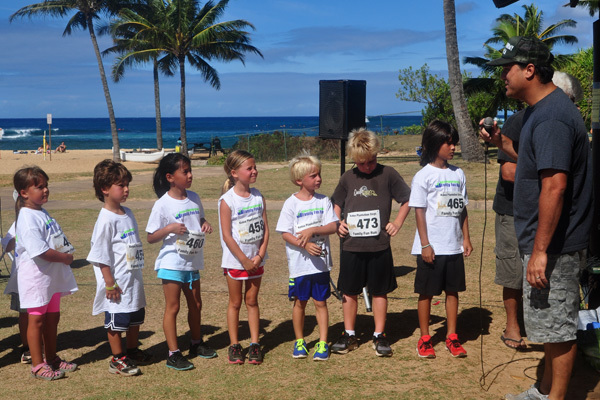 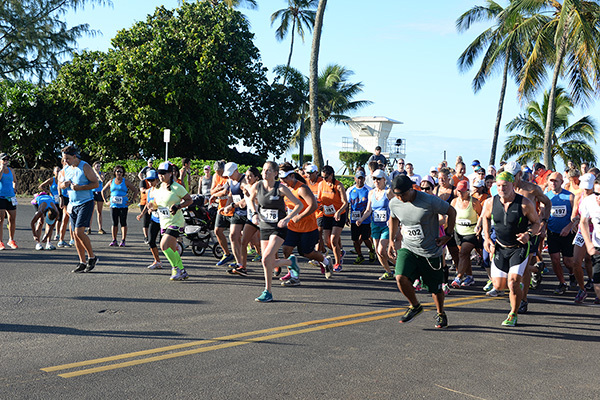 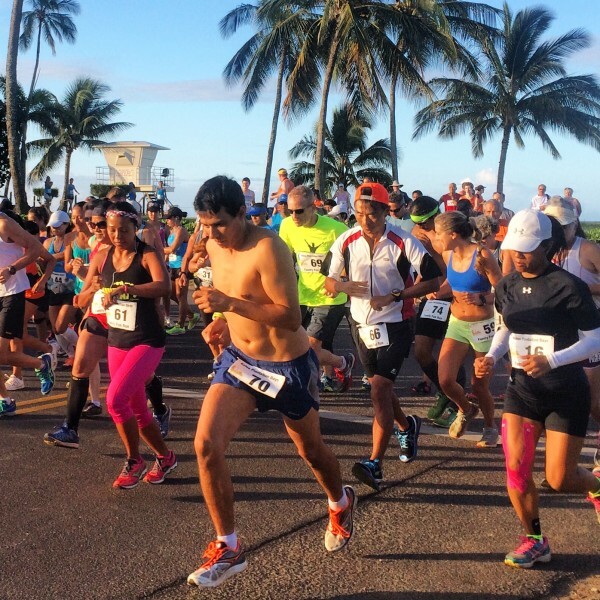 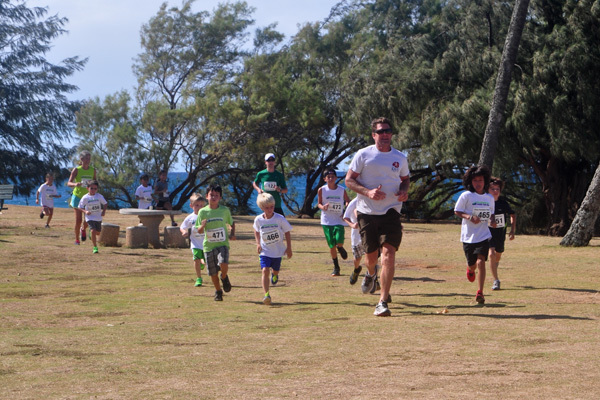 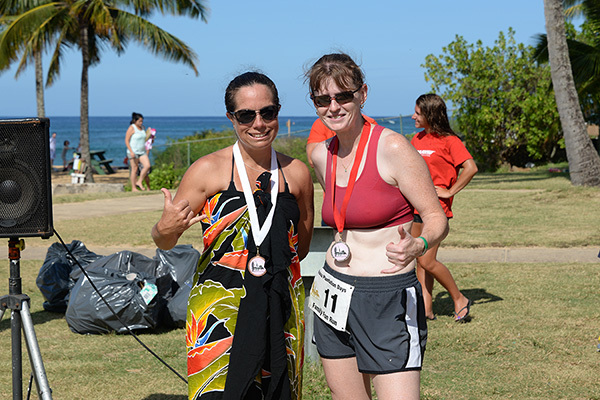 NO LATE REGISTRATION FEE FOR 1 MILE KEIKI RUN! 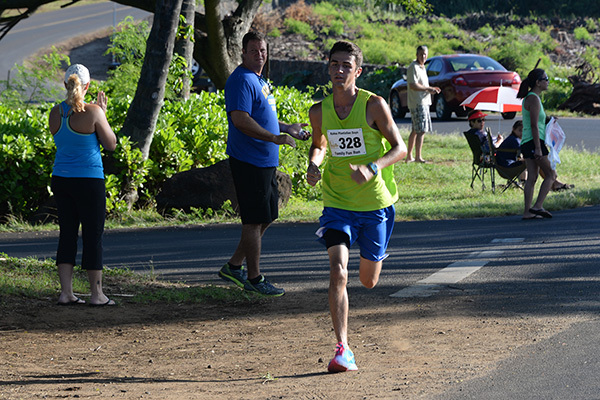 Always only $15! 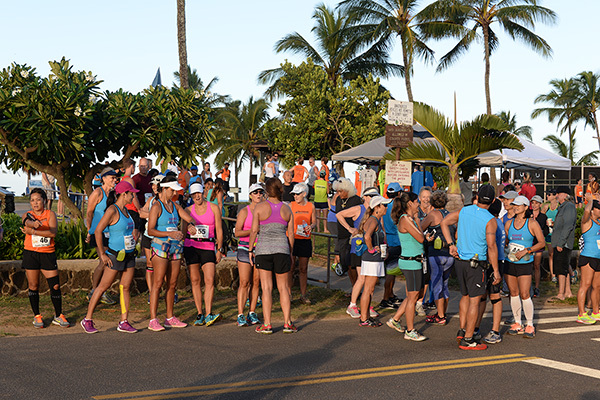 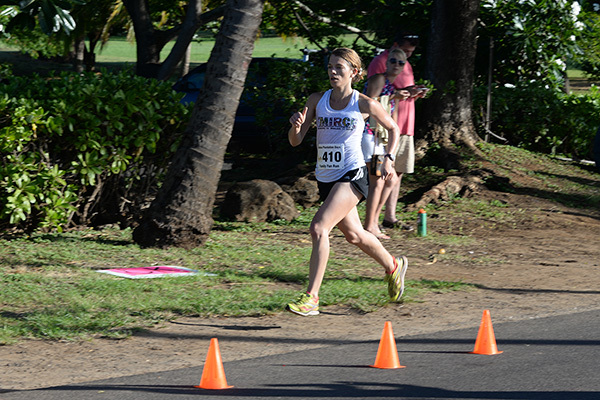 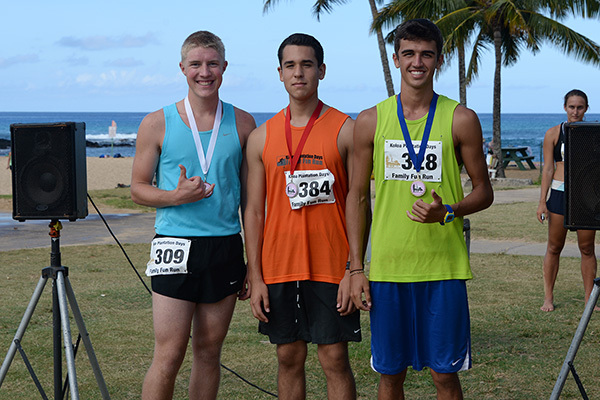 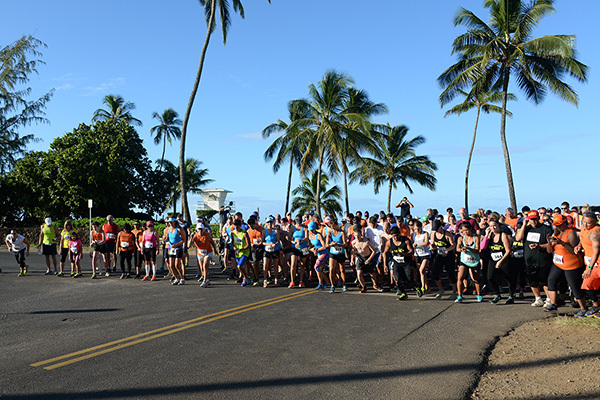 Keiki Run registration open until 9am day of race. 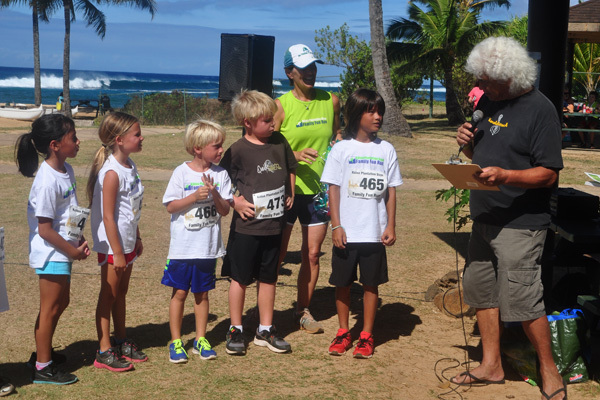 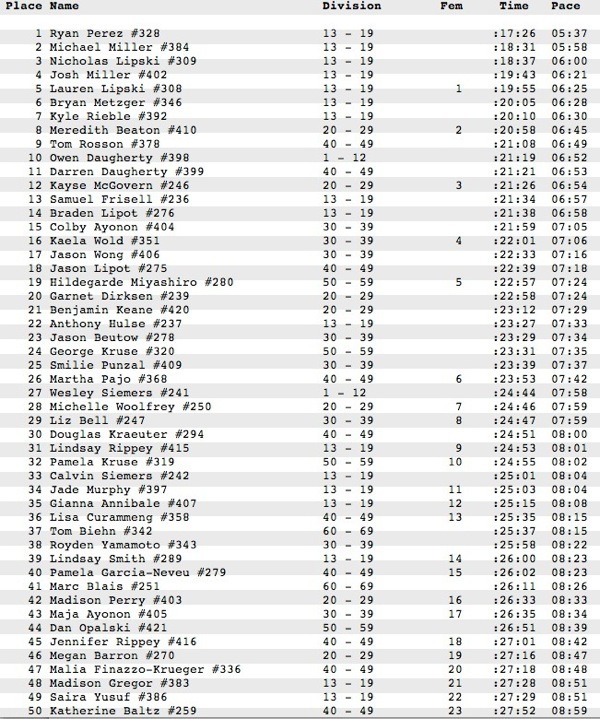 Awards will be given for 1st – 3rd place overall as well as 1st place for each age division for each race course! 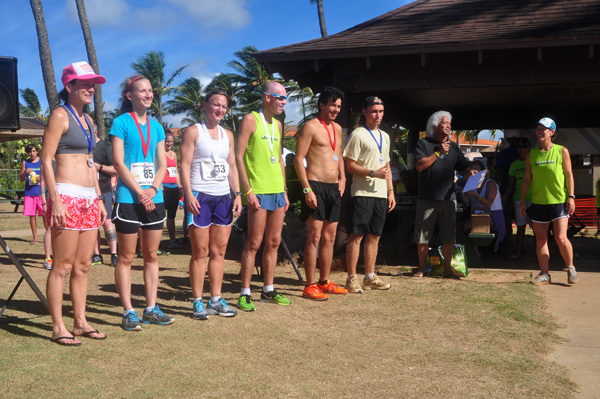 Prizes,T-shirts, food and drinks along with free mini massages available to all contestants! 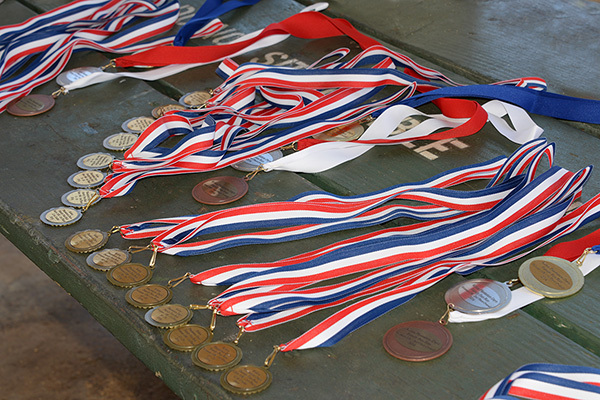 Special awards for all youth 12 and under participating. 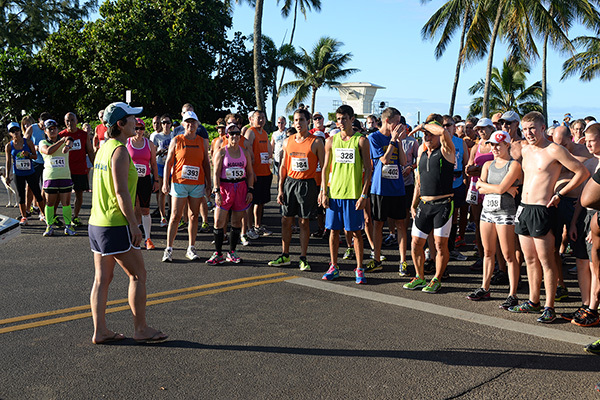 NOTE: temporary road closures and/or traffic delays from 7am – 10am. 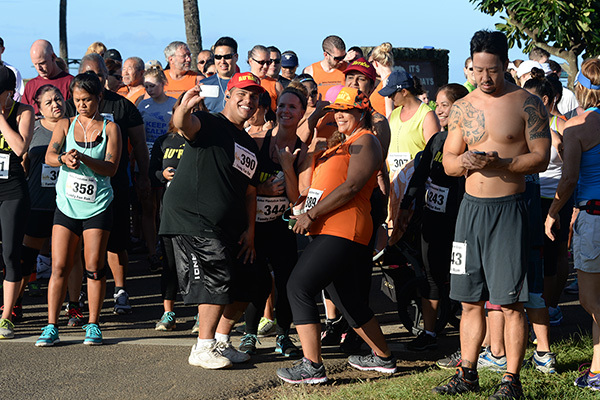 Late charge of $5 extra applies to all registration on day of race. 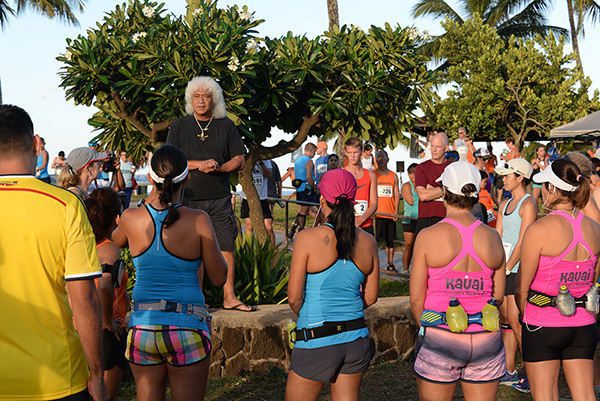 Routes are shown on the Kukuiula Outrigger Canoe Club site. 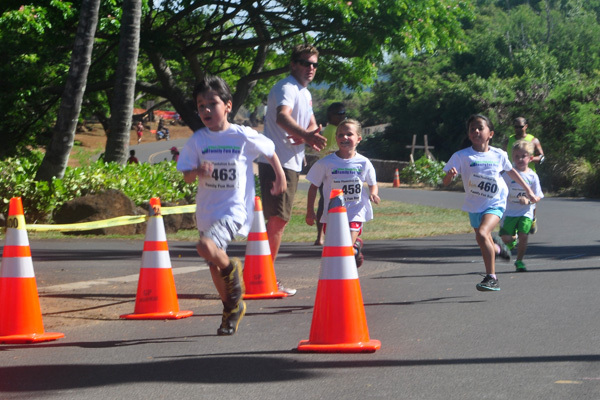 Thank you to the 2013 and 2014 Koloa Plantation Days Kauai Family Fun Run Sponsors! 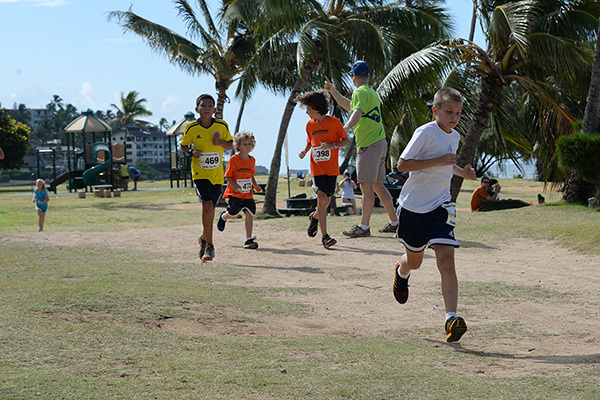 All photos by Ray Gordon. 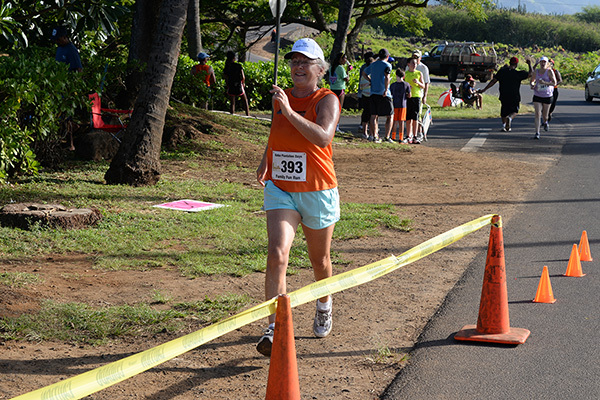 Article about the Koloa Plantation Days Family Fun Run 2011 from It’s Different For Girls with more photos by Ray Gordon. 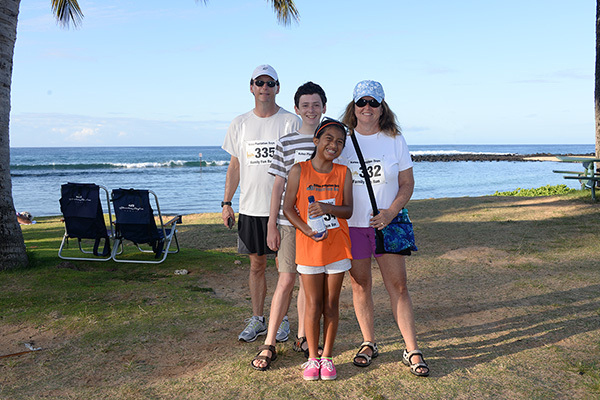 Bill Buley writes about his 2013 10K run with Siri. 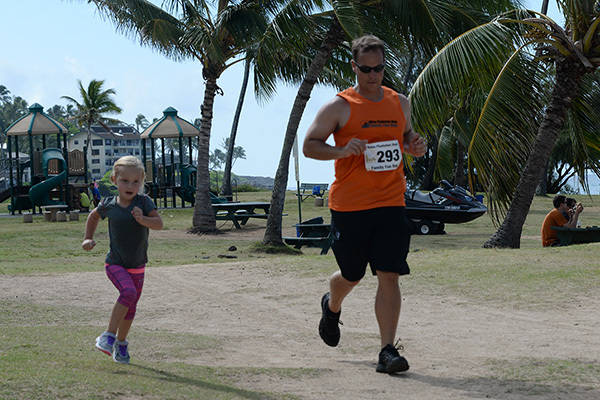 Bill Buley interviews Fran McDonald about the 2013 Family Fun Run.